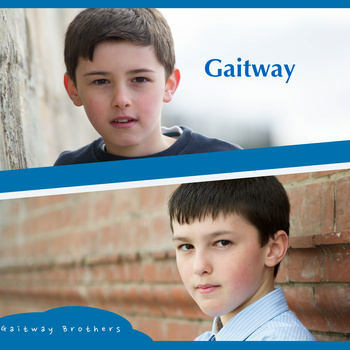 When I first introduced “Gaitway Brothers” I knew that these two youngsters had something very special to offer the world. 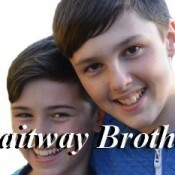 With their award winning smiles, captivating charm, mischievous and adventurous spirit, coupled with their (brothers forever) care for each other, I instantly knew that this was the beginning of a great musical duo. Of course in the beginning they were just starting to work on their singing voices. They sang all their songs in unison which was lovely, but required some harmonies to really make it come alive. It was not long after meeting their vocal coach that I learned that this was going to be the next step for the boys through their lessons. To my delight, the very next song they produced included harmonies which were surprisingly and remarkably done. The boys sing and record songs which not only lighten your spirit but bring a touch of their homeland with every offering. 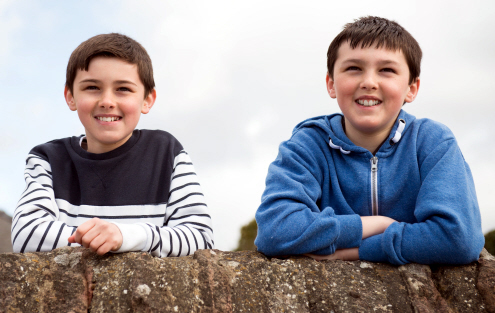 Perhaps for some, their music may be a little foreign, but for most who enjoy young treble music it is very much in step to the kind of music made famous by the likes of Libera. So what has happened since all this? Plenty! The boys are now on their way to a great and exciting future not only in the recording industry but also as young actors. 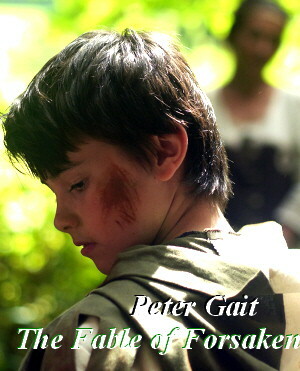 Last month after finding out about a new project which included both Steven and Peter, I contacted Matthew Todd their vocal coach, and also the author of the screenplay for a new film entitled “The Fable of Forsaken”. I asked Mr. Todd to tell us the full story behind the concept, creation, and making of this new film which is sure to bring winning reviews from all who love Independent Films. 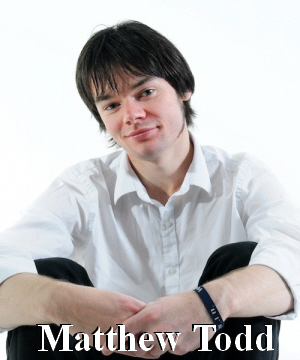 The following was shared directly by the extremely talented Musician, Vocalist, Composer, and Author Matthew Todd. “It all started in April 2014 when my brothers, Nathan and Philip, and I were having one of those rare late-night chats where inspiration flows like a waterfall! As an emerging actor and film-maker, nothing excites Phil more than making films. As a lover of stories and a working musician, I am never happier than when I can get my teeth into a creative project. And Nathan, with a host of technical skills, just loves to make things happen! We were raring to go. We had collaborated on many smaller projects in the past, but we all felt the time had come to embark on a true ‘passion project’: to make a film that we wanted to make. The risk was huge. Many have tried, many have failed miserably… Were we just being naive and foolish? We are all avid Tolkien fans and are excited by epic adventures and heroic characters so the “Lord of the Rings” movies have always been a big inspiration. Also, recently we had the honor of meeting director, Roger Christian, at a screening of his short film ‘Black Angel’ which was set and shot in Scotland. 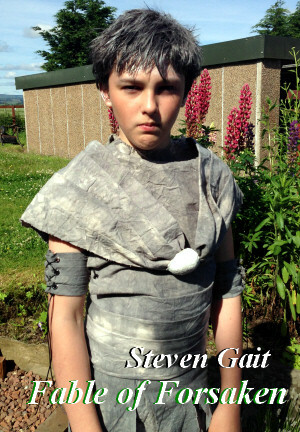 We were hugely encouraged by his words to us and convinced that Scottish film could be so much more than it is now. We are all so sick of seeing visually brilliant films which are let down by weak story-lines and unconvincing characters. We hungered for something deeper, and something that showed that Scotland could produce films that were not dominated by drugs and thugs. So Phil set me a challenge that I could not turn down: ‘write me a story, and we will make it into a film’! The Fellowship had begun their quest! Discovering and introducing new talent is what Rivenmaster’s Place is all about! This year has been no exception with more than twenty new artists introduced here for the first time! This week we are bringing you not just a new, but also a very unique talent. Not only is their relationship unique but the type of music they share is refreshingly different from the normal pop genre which has become so dominant throughout the music industry and the world. 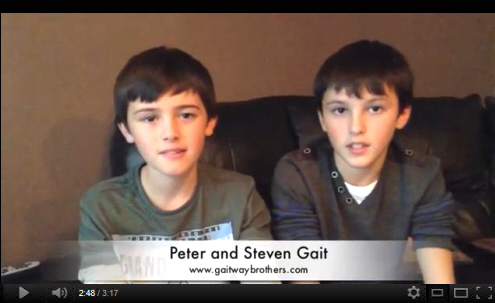 Steven and Peter Gait are twelve year old twins who live in Helensburgh, Scotland; their home town is the birthplace of the inventor of the first working television, John Logie Baird. Helensburgh is situated on the scenic Firth of Clyde the famous river on which the Liners Queen Mary and Queen Elizabeth were built. The boys, as you can see from the photographs, are not identical twins and also differ in their natures, likes and dislikes, yet they do enjoy singing together. They have a younger sister Amanda, who is their number one fan. 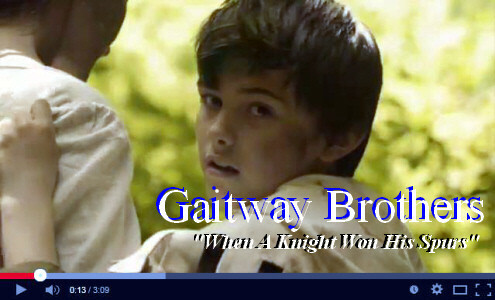 This past month the boys released [button_round color=”blue” url=”http://gaitway.bandcamp.com/”] their debut CD [/button_round] consisting of 9 songs that display the versatility of the Gaitway Brothers. The music includes Scottish and English traditional songs, atmospheric film-music and several thought-provoking original compositions. The music is united by its ‘folk flavor’ and by its emotive nature which always ends, on a note of hope. Sung from the heart and mixed professionally, this will be one you will want for your collection. I asked the boys to create a special video where they could introduce you to themselves and tell you a little about their music and their dreams for the future. I’m delighted to present this video for your enjoyment!